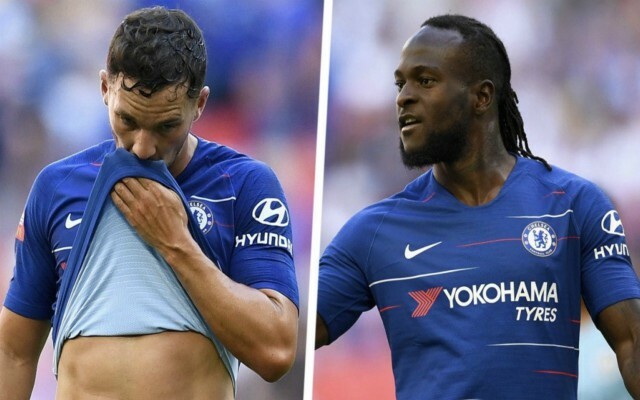 Chelsea boss Maurizio Sarri admits he is unsure if Danny Drinkwater and Victor Moses have a future at Stamford Bridge. The former has yet to feature for the Blues this season following the summer arrivals of Kovacic and Jorginho, while the latter has featured in just two of the club’s 11 Premier League matches. 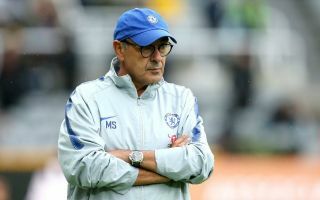 Sarri’s men are fighting at the top of the table in third place behind Liverpool and Manchester City, having emerged as dark horses for the title with their free-flowing displays over the last three months. Unfortunately for Drinkwater and Moses, the Italian manager’s 4-3-3 formation has left no room for their inclusion and he justified that decision in an interview on Sunday when asked if they have a future at the club. “I don’t know; they have to improve, but the characteristics are a little bit different,” Sarri told reporters, as per the Daily Mail. “The situation is that Drinkwater for me is not suitable for a midfield with two midfielders. Now that the pair has been deemed as surplus to requirements, they may edge ever closer to the exit door, with the January transfer window just around the corner. Neither man looks likely to get into the starting XI at Stamford Bridge at the moment and they might have to look elsewhere to secure regular playing time once again. Sarri was speaking ahead of Chelsea’s home encounter against Crystal Palace, which is a must-win game if the Blues are to draw level with Liverpool at the top of the table.